Christian historians report that late in his life and ministry, the chief apostle Peter made his way to Rome, the capital city of the Roman Empire, preaching the apostolic faith and establishing a Christian community. Paul, a convert from Judaism, also traveled through the Gentile world; he too, after "journeying often," arrived in Rome. It was there that both Peter and Paul met their deaths, probably in the same year (64 c.E. ), at the orders of the emperor Nero (37-68 c.E.). 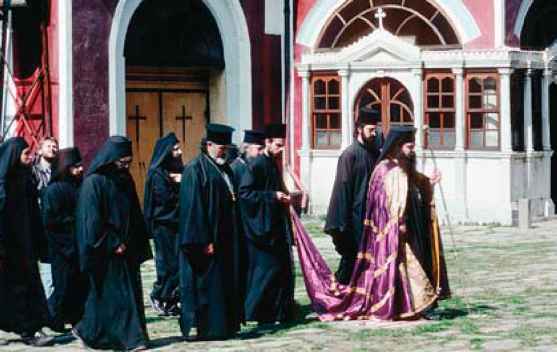 A procession leaving a monastery on Mount Athos following the celebration of the Divine Liturgy. Mount Athos is situated on the eastern peninsula of Halkidiki in Greece. It is called the Holy Mount and covers 218 square miles (350 square kilometers). The entire eastern peninsula is given to Orthodox monasteries and hermitages. Land is managed by the monks who live there. As a self-governing part of the Greek state, it is divided into 21 territories, each with a cardinal monastery and a series of monastic establishments surrounding it. Carving of a fish on the wall of a cave used as a chapel by the 7th-century Saint Fillan in Pittenweem (meaning "place of the cave") in Fife, Scotland. This is one of the most significant sites of the early Christian church in Scotland. 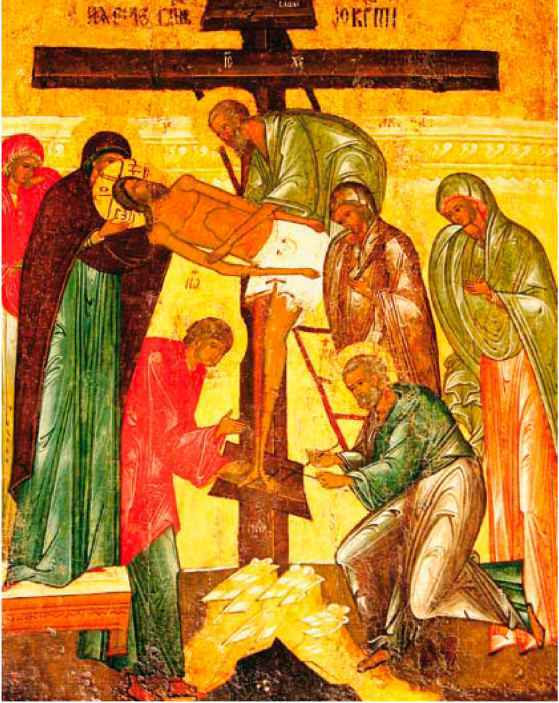 The fish became a symbol of Christ for early Christians, since the Greek word for fish was icthus, which was an abbreviation for lesus Christos theou uios soter (Jesus Christ, the Son of God, Savior).